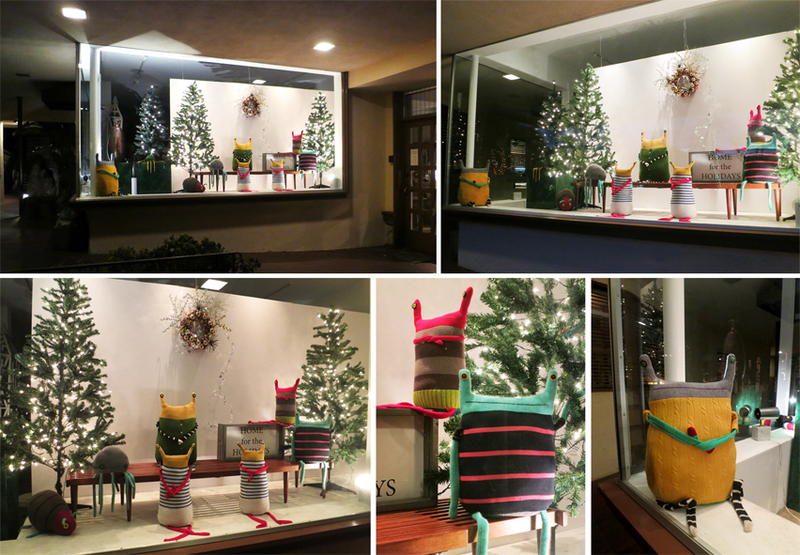 contacted me about including a bunch of beasts in a holiday window display. I wasn't sure I could pull it off by making enough beasts in time. But we did it! Ta da... the Beasts are Home for the Holidays. I love how it turned out, this little menagerie of octopi, bed bug beast, beast pillows and a seven-foot long snake! and home decor. And it looks like they've already made themselves quite comfortable. I can't wait to see the store in person when I travel back to California next week.